‘Vernacular’. In G. Desai, and A. Masquelier (eds. 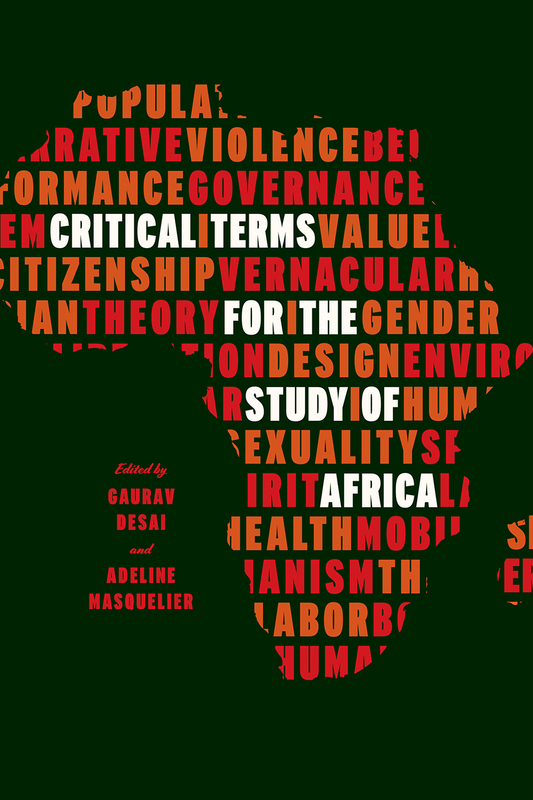 ), Critical Terms for the Study of Africa (Chicago: University of Chicago Press, 2018), 331-345. ‘The East African Revival’. In William Sachs (ed. ), The Oxford History of Anglicanism, Vol. V: Global Anglicanism (Oxford: Oxford University Press, 2018), 211-231. ‘Vernacular Language and Political Imagination’. In Ericka Albaugh and Kate de Luna (eds. ), Tracing Language Movement in Africa (Oxford: Oxford University Press, 2017), 165-186. ‘Print Cultures in Colonial Africa’. In Peterson, Hunter and Newell (eds. ), African Print Cultures (Ann Arbor: University of Michigan Press, 2016), 1-48. ‘Introduction: Heritage Management in Colonial and Contemporary Africa’. In Peterson, Gavua & Rassool (eds. ), The Politics of Heritage in Africa (Cambridge: Cambridge University Press, 2015), 1-36. ‘Ethnography and Cultural Innovation in Mau Mau Detention Camps: Gakaara wa Wanjau’s Mĩhĩrĩga ya Agĩkũyũ (The Clans of the Gikuyu)’. In I. Hofmeyr and A. Burton (eds. ), Ten Books that Shaped the British Empire (Durham: Duke University Press, 2014), 216-237. ‘Religion’. In P. Levine and J. Marriott (eds. ), Ashgate Research Companion to Modern Imperial Histories (Aldershot: Ashgate, 2012), 489-510. ‘Revivalism and Dissent in Colonial East Africa’. In K. Ward and E. Wild-Wood, eds. The East African Revival: History and Legacies (Kampala: Fountain Publishers, 2010), 162-182. ‘Introduction: Abolitionism and Political Thought in Britain and Africa’. In Peterson (ed. ), Abolitionism and Imperialism in Britain, Africa and the Atlantic (Athens, OH: Ohio University Press, 2010), 1-37. ‘States of Mind: Political Vision in the Rwenzururu Kingdom, Western Uganda’. In Peterson and Macola (eds. ), Recasting the Past: History Writing and Political Work in Modern Africa (Athens, OH: Ohio University Press, 2009), 171-190. ‘Introduction: Homespun Historiography and the Academic Profession’. In Peterson and Macola (eds. ), Recasting the Past: History Writing and Political Work in Modern Africa (Athens, OH: Ohio University Press, 2009), 1-28. With G. Macola. ‘Language Work and Colonial Politics in Eastern Africa: The Making of Standard Swahili and “School Kikuyu”‘. In D. Hoyt and K. Oslund (eds. ), The Study of Language and the Politics of Community in a Global Context (Maryland: Rowman and Littlefield, 2006), 181-210. ‘Making the Chikunda: Military Slavery and Ethnicity in Southern Africa, 1750-1900’. In P. Morgan (ed. ), Arming Slaves: From Classical Times to the Modern Age (New Haven: Yale University Press, 2006), 95-119. With A. Isaacman. ‘The Rhetoric of the Word: Bible Translation and Ethnic Debate in Colonial Central Kenya’. In B. Stanley (ed. ), Missions, Nationalism, and the End of Empire (Grand Rapids: Eerdmanns, 2004), 165-179. ‘Writing in Revolution: Independent Schooling and Mau Mau in Central Kenya’. In Atieno Odhiambo and J. Lonsdale (eds. ), Mau Mau and Nationhood: Arms, Authority, and Narration (London and Ohio: Ohio University Press, 2003), 76-96. ‘Autobiography as History and Literature’. In C. Muhoro, The Life of Charles Muhoro Kareri (Madison: University of Wisconsin African Studies Center, 2003), iv-xix. ‘Gambling with God: Rethinking Religion in Central Kenya’. In Peterson and Walhof (eds. ), The Invention of Religion: Rethinking Belief in Politics and History (New Brunswick: Rutgers University Press, 2002), 37-58. ‘Rethinking Religion’. In Peterson and Walhof (eds. ), The Invention of Religion: Rethinking Belief in Politics and History (New Brunswick: Rutgers University Press, 2002), 1-16. With D. Walhof.